April | 2017 | Mike Lamberti, From Margate To Cleveland, And Back ! Rianna Marinelli celebrated her 100th career hit on April 27 with a tremendous day at the plate. The senior was 3-for-4, with a homer and two RBI, as Cedar Grove pulled away from Columbia to win a 10-0 decision, at Panther Park. 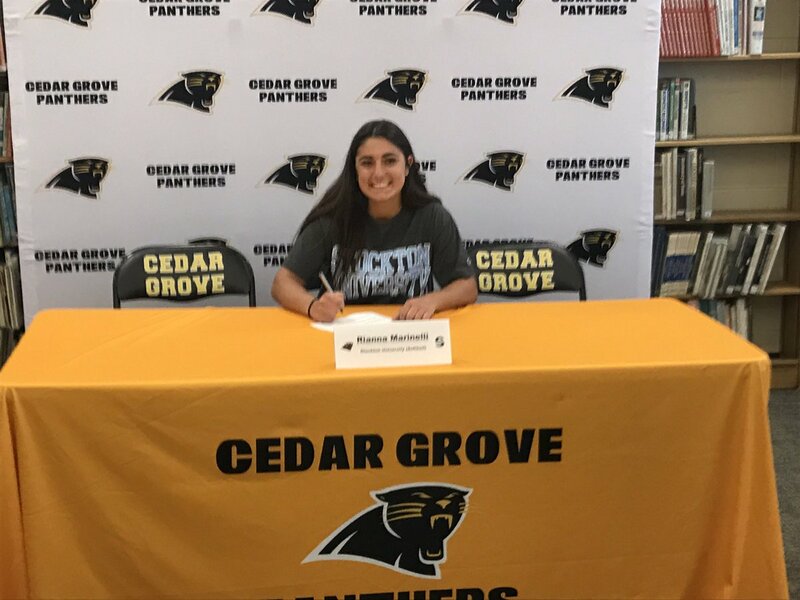 Marinelli, who will play at Stockton University this fall, collected her 100th hit in her first plate appearance and drove in a run, as Cedar Grove (11-4) opened a 2-0 lead after one inning. Jules Cicala also had an RBI single in the first. 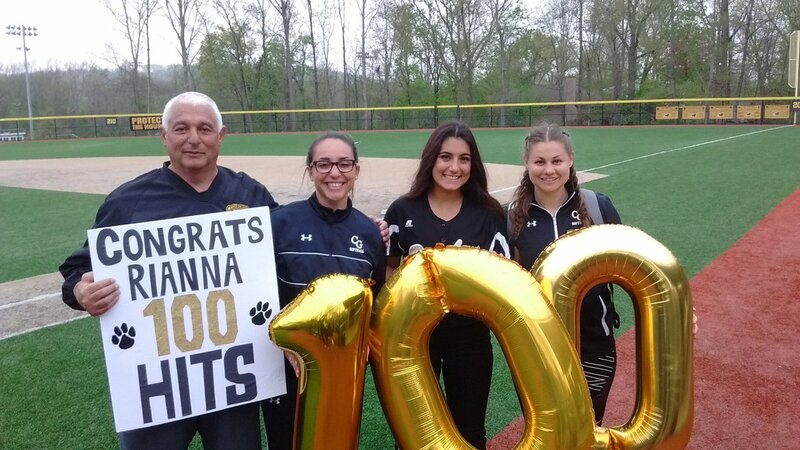 Left to right, Cedar Grove assistant coach Pete Velardi, head coach Nicole Velardi, Rianna Marinelli and assistant coach Sara Lipman following a big day for Marinelli, at Panther Park. A two run lead with Mia Faieta pitching is usually more than enough, and that was the case, as Faieta, who left her last start early with stiffness in her shoulder, was back in her usual form. The sophomore righty (AKA California Chrome) fanned 15 in six innings while giving up one hit. Faieta did work out of a jam in the second inning, when Columbia loaded the bases with one out, but California Chrome fanned the next two hitters to get out of it unscathed. Rianna recently made her college choice official. She’ll play at Stockton University in the fall. But the story of the game was Marinelli, who continues to play well for the Panthers. Marinelli’s homer came in the sixth, a solo blast well over the left centerfield fence. 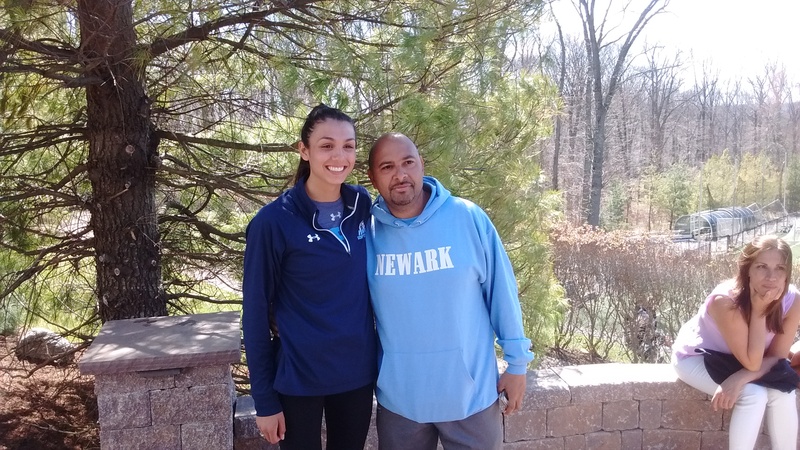 She will join former Cedar Grove teammate Daniela Marinaro at Stockton. 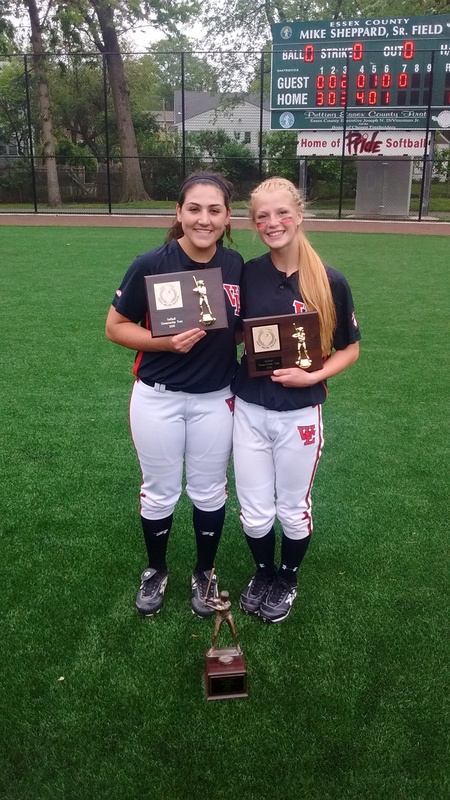 One-time Cedar Grove stars Gianna Cuffari and Nicole Tomo also played softball at Stockton. 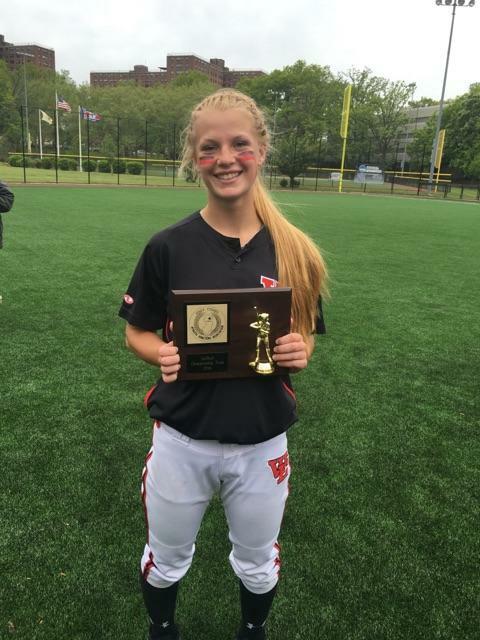 Marinelli will have an Essex County teammate at Stockton this fall, too, as West Essex’s Sami Huetter plans to play at the Atlantic County school, as well. Smith is optimistic about his team’s future. 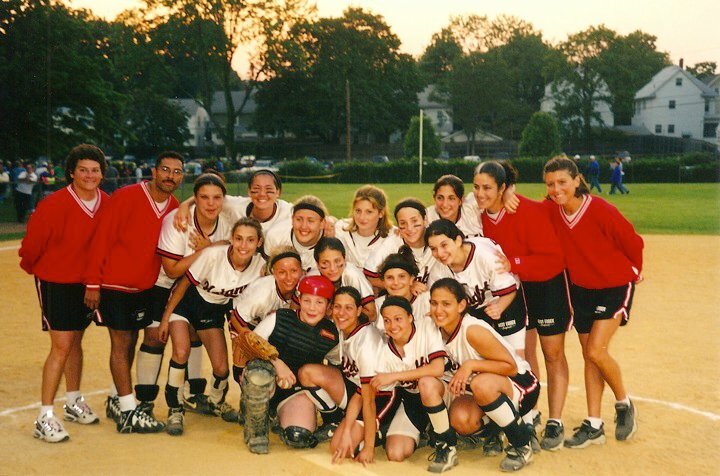 The 40th Essex County Softball Tournament will commence later this week, with play-in games. This years ‘Ruby’ tournament was a tough one to seed, as a number of teams have somewhat equal records, in the Super Essex Conference’s American and Liberty Divisions. Mount St. Dominic, which has won six titles, including crowns in 2014 and 2015, defending champion West Essex and Cedar Grove, which last won the championship in 2010, should be among the top seeds in 2017. 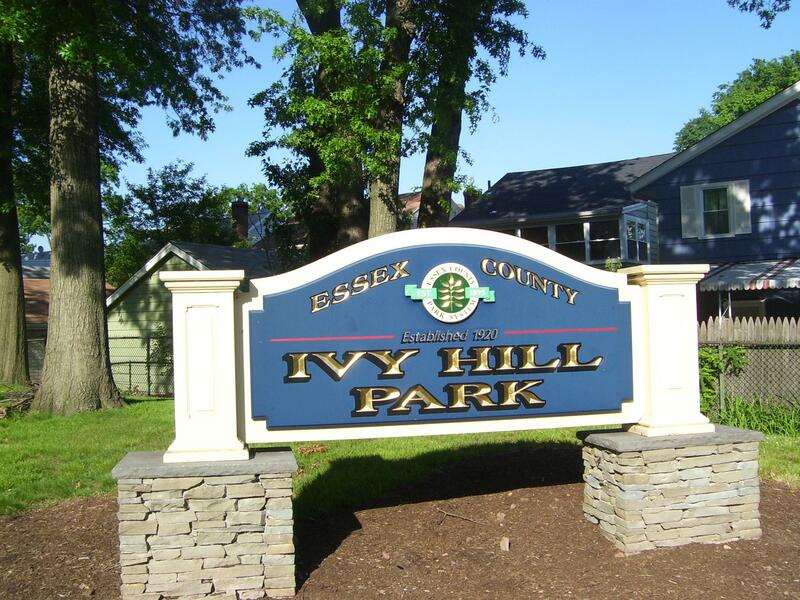 The semifinals and finals will once again be played at Ivy Hill Park, on the campus of Seton Hall University. The semis and finals have been played there since 2005. Upsets have been a part of this tournament over the years. Last season, 2-time defending champion Mount St. Dominic lost in the quarterfinals to Montclair, 2-1. The Mounties eventually made it to the championship game, before falling to West Essex. Mount St. Dominic had won back-to-back titles in dominant fashion in 2014 and 2015, winning both championships in five innings, or less. Livingston had won the previous two crowns in 2012 and 2013, and the Lancers, at one point, had gone 48-1 against Essex County teams from 2012-2014. And speaking of the semis, there have been some great games over the past six years. 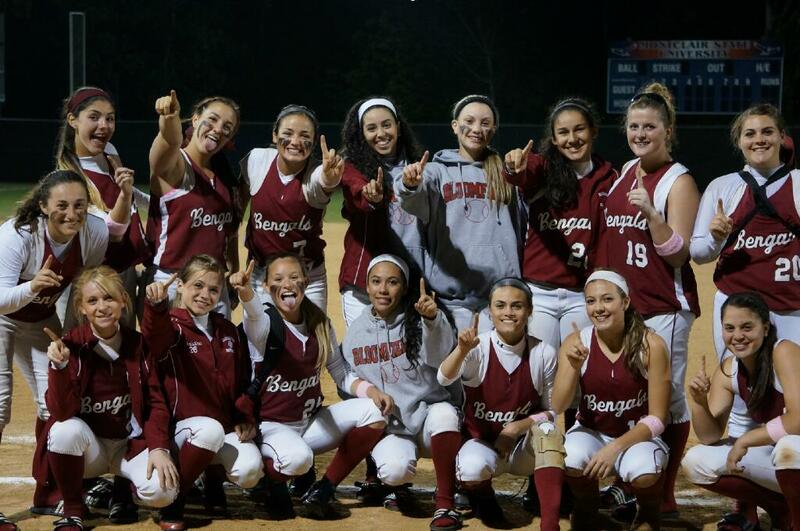 In the 2011 semifinal between Livingston and Nutley, Livingston sophomore righthander Jess Peslak struck out 14, but Kristen Mattia hit a 3-run homer in the fifth inning for Nutley after Livingston had gained a 4-0 lead. 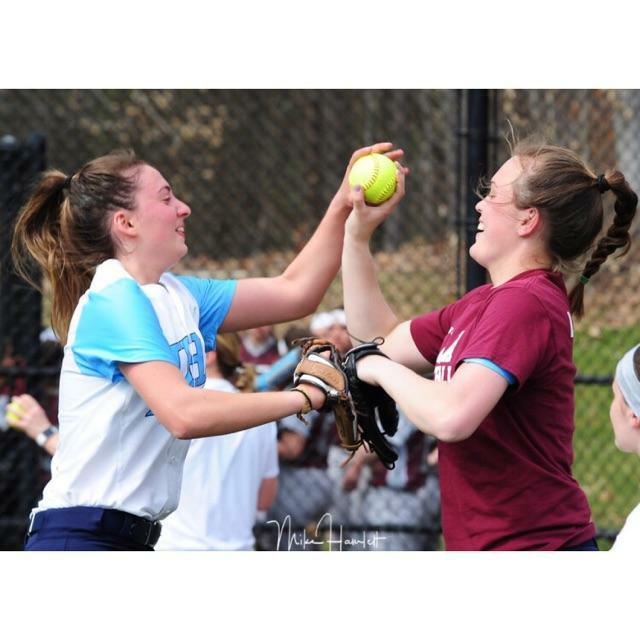 The Lancers appeared to have it under control in the bottom of the seventh, especially after Peslak fanned Mattia for the second out, but Lauren Iradi hit a seeing-eye, two-out, two-run single as Nutley won, 5-4. A day later, it captured the county final over MSD, 3-0. (Peslak has often said it was one of the best games she ever played in, and she lost). Last year, Montclair and Livingston played a tremendous semifinal, before a large crowd, with the Mounties winning, 6-4, marking Montclair’s first win over Livingston in six years. Ciarah Minning of Montclair made one of the greatest catches in the tournament’s history, hauling in a long drive, over her head, in deep centerfield, against Livingston. And for pure recent drama, the 2012 and 2013 championship games between Mount St. Dominic and Livingston were as good as they got, with Livingston prevailing, 2-0, and 5-4. It’s not often that teams meet in back-to-back years in a final. Cedar Grove and the Mount played in the 2008 and 2009 finals and then, it was Livingston and MSDA. There were just three other rematches prior to 2009. This is the 40th ECT, so let’s look back at some facts and figures over the past 39 tourneys. 2-Belleville appeared in nine county finals during the 1980s, winning three championships, including back-to-back titles in 1982 and ’83. Belleville made it to eight straight finals, a record which still holds, from 1982-89. The Buccaneers also won in 1989 and appeared in the 1998 and ’99 final. Belleville’s 12 appearances in the finals are second most, to Mount St. Dominic, which has been in 13 championship games. 3- Mount St. Dominic has won six titles, Livingston has five crowns and Cedar Grove and West Essex have four championships each. 4-Livingston pitcher Jess Peslak had three of the most dominant performances in the ECT semis in recent memory. In 2011, she struck out 14, but lost in the seventh inning to Nutley, 5-4. The following year, she fanned 17 in a 9-0 victory against West Essex and in 2013, she spun a five-inning, no-hitter, with 12 strikeouts, as the Lancers defeated Bloomfield, 12-0. Peslak was 2-0 in county finals. Mount St. Dominic senior pitcher Kelsey Oh has two titles to her record and will be trying for a rare third this year. Oh’s performances in the 2014 and 2015 finals were beyond dominant. 5-Mount St. Dominic’s second straight title in 2015 matched the 2008 and 2009 Lions for back-to-back crowns. Livingston won consecutive championships in 2012 and 2013. 6-Caldwell is the only team to three-peat as champions. (1986-88), with all three wins in the final against Belleville. No other team has won three straight. 7-Livingston’s Kylie McLaughlin, hit a rare inside-the-park homer at Ivy Hill Park in the 2013 semifinal against Bloomfield. She led off the bottom of the first with a shot that hit the center field fence and bounced past a Bloomfield outfielder, as the speedy lefty batter rounded the bases. 8-Cedar Grove was the first team to repeat as champion, doing so in 1980. At that time, the Panthers were led by pitcher Laurel VanDer May, while its head coach was her brother, Ray, who returned to the helm of Cedar Grove in 2013 and led the ’14 Panthers back to the finals. 9-Cedar Grove (1979-80), Belleville (1982-83), Caldwell (3-peat from 1986-1988, 1990-91 and again 2004-05), West Essex (1997-98),Bloomfield (1999-2000), Montclair Kimberley Academy (2001-2002), Mount St. Dominic (2008-09 and again in 2014-2015) and Livingston (2012-2013) are the schools which have won back-to-back titles. 10-Caldwell coach Mike Teshkoyan has the most championships with eight. Mount St. Dominic’s Lorenzo Sozio is second, with six titles. Sozio, who won his 500th career game in 2016, has guided the Lions to all six of its championships. 11-Belleville-Caldwell (1986-88), Caldwell-Livingston (1990-91), Mount St. Dominic-Bloomfield (1995-96), Mount St. Dominic-Cedar Grove (2008-09) and Mount St. Dominic-Livingston (2012-2013) are the championship game matchups which occurred in consecutive years. 12-Cedar Grove’s crowns in 1984 and 2010 represent the longest gap between titles for a school in the tourney’s history. 13-Nutley waited 18 years between championships. (1993-2011). 15-The highest scoring final occurred in 2015, with 19 runs scored. The second highest scoring final was in 1992 and 2016, with 14 runs scored in both of those finals. Cedar Grove and Belleville collected 13 runs in the ’84 title game. 16-Only three of the first 39 championship games have gone into extra innings, with Belleville (1989), Mount St. Dominic (2003) and Caldwell (2005) all winning by 1-0 decisions. The 2003 game between Mount St. Dominic and Bloomfield went 11 innings, the longest final on record. 18-Luann Zullo is 3-0 as a head coach in the finals, and she’s the only coach to win crowns at two different schools. She won a pair of championships at West Essex (1997-98) before leading her alma mater, Nutley, to the 2011 championship. Ironically, her first championship in ’97 came against Nutley. 19-Livingston coach Jason Daily is 3-0 in county finals, winning in 2006, 2012 and 2013. Daily’s teams have also been consistently in the Final Four, with recent appearances in 2009, 2010, 2011, 2012, 2013, 2015 and 2016. Daily has been head coach at Livingston since 2001. 21-Livingston and Belleville had quite a rivalry in the 1980s. The schools met three times in a county final (1982, ’85 and ’89), with Belleville winning twice. In 1982, Livingston rallied from 4-0 down to stun Belleville, 6-4, in a state sectional semifinal. Five days later, the two met again for the county championship and Belleville won, 8-0, for its first ECT crown. A generation later, the two met in the quarterfinals of the 2001 county tournament, with Belleville prevailing by the mercy rule. A few weeks later, the teams met in the state sectionals, with Belleville winning a close 3-1 contest, en route to a sectional championship. The following year, Livingston went to Belleville in a sectional semifinal, and won. Livingston’s current head coach, Jason Daily, was in his second year as head coach in 2002. 23-It’s not often that sisters play against each other in a county tournament, but it happened in the 2011 championship game when Nutley, led by Eileen Purcell, defeated Mount St. Dominic, 3-0. The Mount’s junior catcher that year was Jamie Purcell, Eileen’s twin sister. The Purcells played four years of collegiate softball and were graduated with undergraduate degrees in 2016. 25-Mount St. Dominic’s four runs in the 2013 county final was the most by a team which didn’t win the title during this century. 26-Gina Capardi (Caldwell), Sammi Rothenberger (Livingston), Kristen Mattia (Nutley), Mount St. Dominic’s Olivia Gemma and Madison Gemma of West Essex, Olivia’s sister, hit five of the more memorable homers in Ivy Hill history, since the field became the venue for the semis and finals in 2005. 27-Bloomfield coach Bob Mayer and Mount St. Dominic’s Lorenzo Sozio each won his 500th career game, all for one school, in 2016. Caldwell’s Mike Teshkoyan is first, all time, in county history with well over 600 wins. 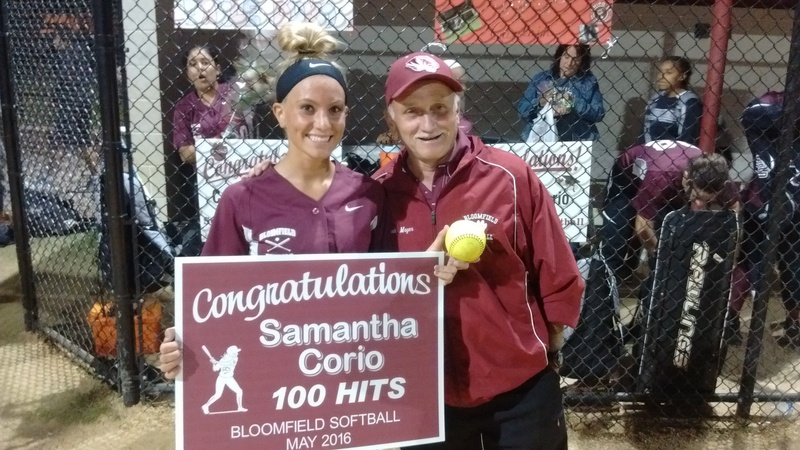 Carl Corino of Belleville, who is retired, was the first to reach 500, back in 2005. 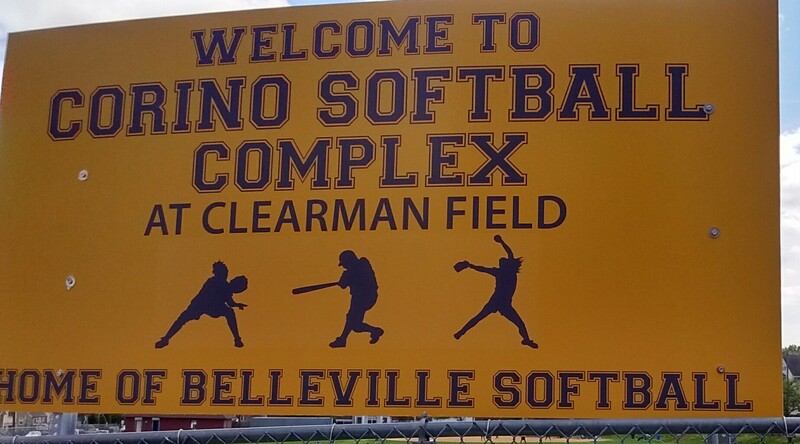 Corino was honored in April, 2016, by having the ball park at Belleville named after him. 28-West Essex won its fourth county title and first in nine years in 2016. It was the second crown under head coach Andrea Mondadori-Llauget. Madison Gemma (left) and Bridget Betley were keys to the Knights victory last year. The Gemma family has had its share of good memories in the county final, with six straight appearances. Olivia Gemma played in four straight ECT finals and led her team to a title in 2014. Madison played in the 2015 and 2016 finals and hopes to make a third straight appearance this season. Andrea Mondadori Llauget led the Knights to the 2007 and 2016 championships. Her dad, Steve, is now an assistant coach with the Knights. A wonderful Black and Gold Tournament at Cedar Grove on April 23 was culminated by an incredible game, as Immaculate Heart Academy rallied from a 1-0 deficit in the bottom of the seventh to tie it, then won in the eighth inning on a triple by Reagan Jones and subsequent single by Ally Dudek, for a 2-1 win. The defense featured some tremendous plays, including a diving catch by Reese Guevarra in centerfield for IHA and a leaping grab at second base by West Essex’s Bridget Betley. Left to right, Sami Huetter, Alexa Vardiman and Bridget Betley, team captains for West Essex, have the Knights playing well once again. In the end, a nice piece of opposite-field hitting by Jones found the gap in right center for a triple that led off the eighth. Earlier in the game, Julia Vardiman drilled a homer over the left-centerfield fence to give the Knights a 1-0 lead, and that margin held until the bottom of the seventh, when IHA tied it, and forced extra innings. With the advent of the new NJSIAA Tournament of Champions in high school softball this June, there’s always the possibility that IHA and West Essex could meet again, perhaps in an ultimate championship game. But that’s still a good six weeks away, and there are plenty of tremendous teams out there, who will be battling for a Group championship. 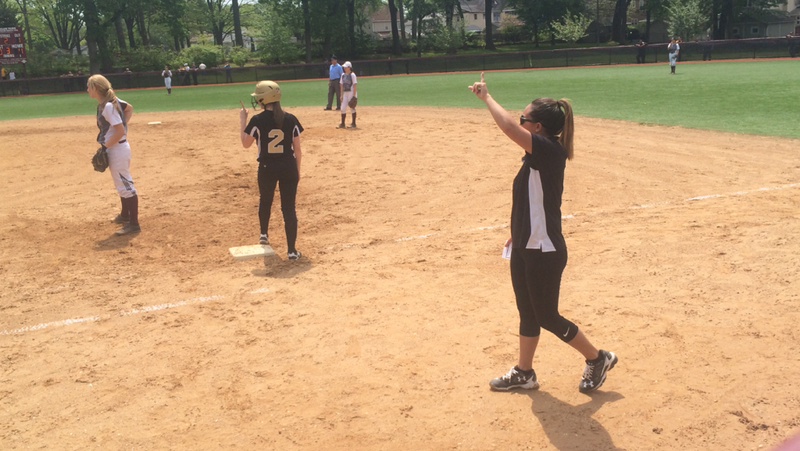 IHA actually won two games at the Black and Gold, defeating Livingston earlier in the day. And speaking of the Black and Gold, kudos to Cedar Grove athletic director Rob Gogerty, the Cedar Grove coaching staff, led by Nicole Velardi, as well as the Cedar Grove parents, for putting together an incredible day-long event. On a perfect weather day, there was a good crowd, plenty to eat and some great music during time outs and in between innings. The IHA players were enjoying Neal Diamond’s ‘Sweet Caroline’ during a pitching change. They had it choreographed pretty well, led by Sunday Silence, Reese Guevarra, who was standing at second base and leading the charge when the song hit the airwaves. 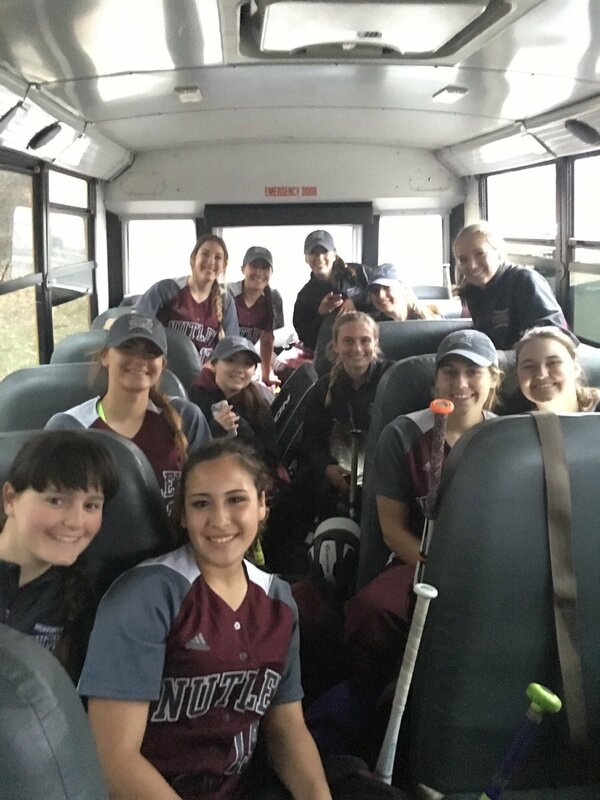 Lexi Corio, a freshman righty picked up two wins at the Black and Gold Tournament, as Bloomfield defeated Kittatinny and DePaul. The Bengals are 8-6 through games of April 24, and Corio has provided a boost to the pitching staff, which had lost two key hurlers from last year, to graduation. DePaul centerfielder Amanda Ayala (stud name, Whirlaway) appears to be 100 percent after a serious leg injury kept her out of the lineup for all of 2016. The senior centerfielder homered against Bloomfield and had a tremendous overall week for the Spartans, both at the plate, and in the field, including an incredible catch last Monday. 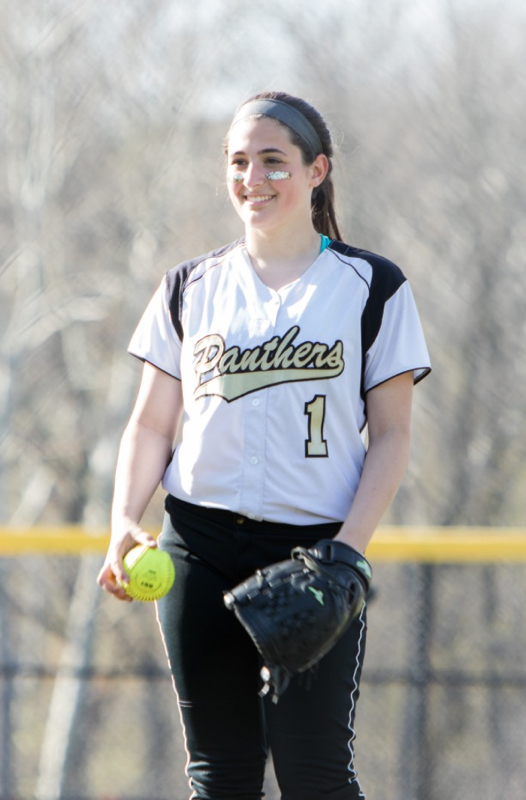 Cedar Grove sophomore pitcher Mia Faieta was outstanding at the Black and Gold, as well, pitching a one-hitter, with 15 strikeouts, as the Panthers defeated Pope John, 4-0, for its second win of the day. Faieta had to leave her previous start on Aprili 21 with an injury, but she was back in form last Sunday. Newark Academy’s record may be a bit deceiving. The Minutemen have played well against a Super Essex Conference American Division schedule, and have also played solid teams outside the conference. While coach Serg Rodriguez’s team probably won’t finish above .500, they could still be a factor in the Non-Public B Tournament, as third baseman Sam Berggraf is a solid defender and tremendous with the bat and pitcher Mallory Shaw continues to get better. Always the coach, Sergio Rodriguez giving pointers to a player during a recent game. Mount St. Dominic continues to play well against a top schedule, including a successful trip to Ohio last weekend. The Lions remain the number one team in the most recent Top 10. They’ll also, most assuredly, be the top seed for the 40th Essex County Tournament, as MSDA seeks a seventh overall crown and third in the last four years. Here’s the updated FMTC Top 10, through games of April 24. 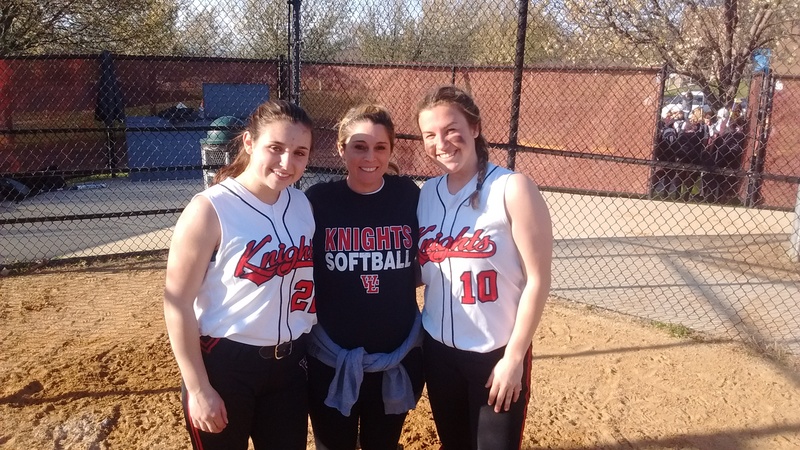 West Essex’s potent lineup was somewhat stymied on April 19 by Mia Faieta and Cedar Grove, but a day later, the Knights were swinging the bats well, collecting 17 hits en route to a 14-1 victory over Montclair. 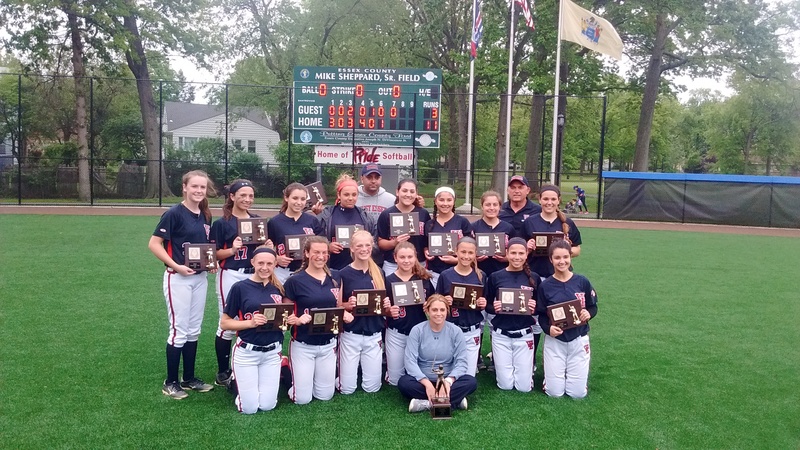 West Essex and Montclair had played in the 2016 Essex County Tournament championship game and also split two regular season games a year ago, but this game got away from the Mounties early, with a 3-run error, which gave West Essex (11-2) a quick 4-0 lead in the first inning. The Knights swung the bats well, led by senior Bridget Betley, who was 4-for-5, including a 3-run double in a 6-run sixth inning. Bridget Betley had a big game against Montclair for the second straight time. She was also a standout in last year’s county championship game versus the Mounties. Betley was actually on base in all five of her plate appearances, since she also reached on a fielder’s choice. 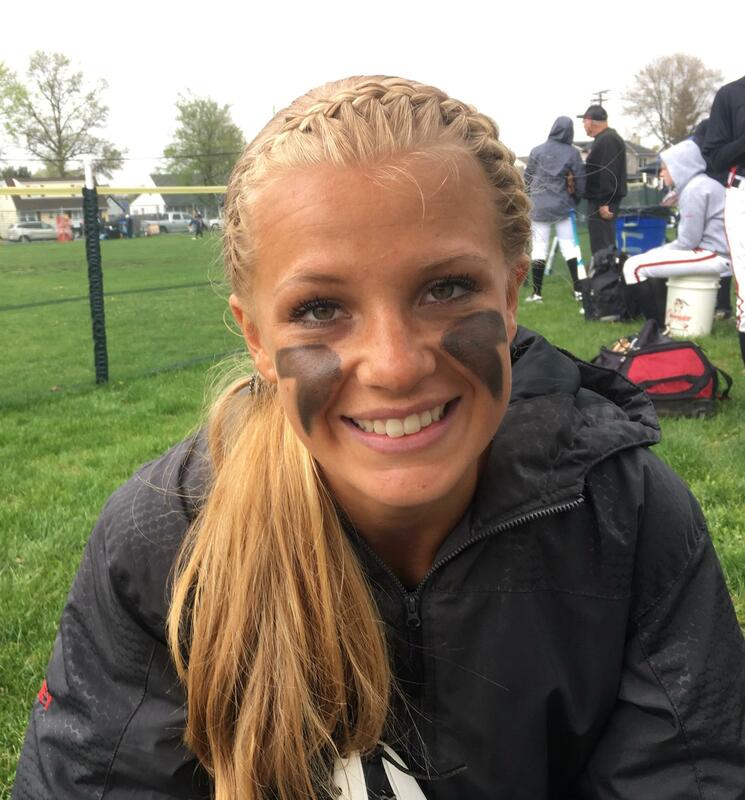 The second baseman, who will play at Post University in Connecticut this fall, also pitched an inning in relief of starter Sami Huetter, who was excellent once again in the circle. Canonero II struck out 11 in five innings while walking none, and giving up two hits and one unearned run. Alexa Vardiman continued her hot hitting with three more singles, a run scored and RBI. Julia Vardiman hit the ball hard in all five plate appearances and had two hits, including a double, a run scored and RBI. 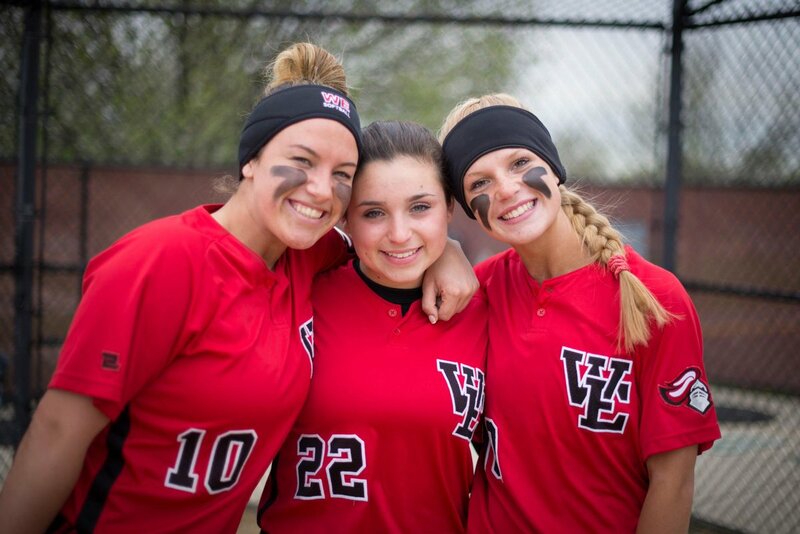 Madison Gemma had two its, a run scored and RBI, Alex Apito had two hits, scored twice and drove in a run, Amanda Garofalo singled and drove in a pair and the incomparable Lily James hit a pair of doubles and drove in a run. Of course, afterward, Huetter was pleased with her team’s effort, especially James, the unassuming third baseman who is very popular among her teammates. “She’s my Bestie,” said Huetter, of James, as the team prepared to board its bus. Montclair, which had won three straight coming into the game, fell to 4-5 with the setback. The Mounties will play this weekend at the Black and Gold Touranment, in Cedar Grove. The Knights will have quite the test on Saturday, when it ventures to Saddle Brook to play defending state champion, Immaculate Heart Academy, in a 2 p.m. start. There were some good games at Ivy Hill Park, on the campus of Seton Hall University on April 15, with the much-anticipated game between Donovan Catholic and Mount St. Dominic more than living up to the billing. Donovan Catholic won, 1-0, with both pitchers, Lindsay Nelson of Donovan Catholic and Kelsey Oh (American Pharoah) each throwing the ball very well. 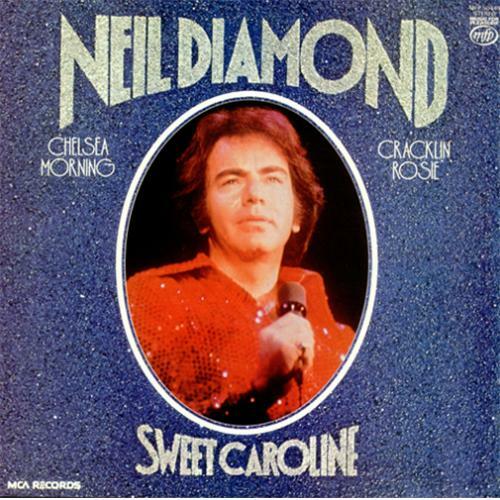 Oh struck out 12, walked three and scattered three hits while Nelson spun a 2-hitter, fanned 13 and walked seven. The game’s intensity was evident from the first pitch, as Oh’s fastball, already one of the best in the state, was popping at an even higher rate. MSDA’s Sarah Taffett was outstanding at the plate. Her triple, after fouling off at least seven pitches, was a tremendous piece of hitting. Taffett also drew a pair of walks in the game. The two teams could meet again, in early June, for the Non-Public A championship, and a berth in the inaugural Tournament of Champions. But that’s still seven weeks away and both head coaches know there’s plenty of talent in Non-Public A to navigate through. Cedar Grove’s Mia Fiaeta has been tremendous in the circle for Panthers. The sophomore righty is averaging nearly 15 strikeouts, per start, with a blistering fastball and tricky change-up. 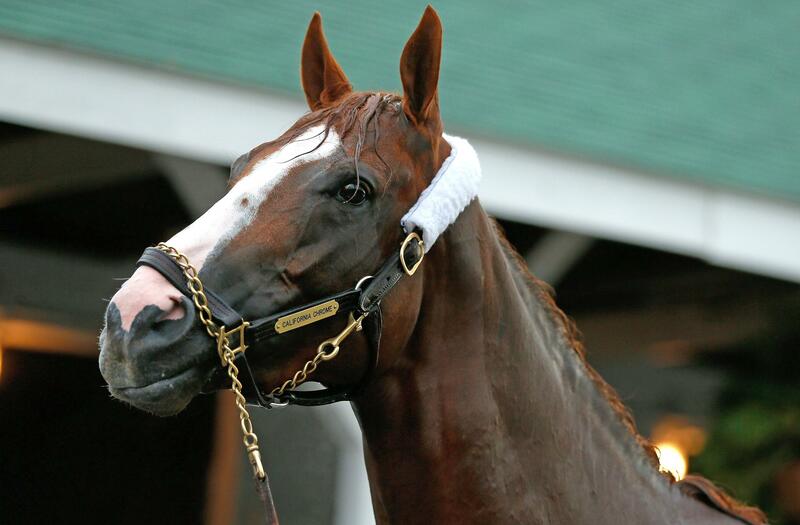 She’s the new California Chrome. Alexa Vardiman is such an underrated hitter. The senior (aka Funny Cide) drove in a pair of runs in a 3-1 West Essex win over Indian Hills earlier this week. Batting second in a potent Knights lineup, the catcher, who swings the bat well from both sides of the plate, is a tremendous contact hitter, as well as providing power to the alleys. Alexa Vardiman (left) with (Pre-Colt) coach Andrea Mondadori-Llauget and Sami Huetter, is having another good season for West Essex in 2017. Congratulations to one of the real good guys in Essex softball coaching, Bob Mayer. He’ll be inducted into the Bloomfield High Hall of Fame on April 22. You can read more about Mayer’s legacy, as his colleagues express their praise, in this article. 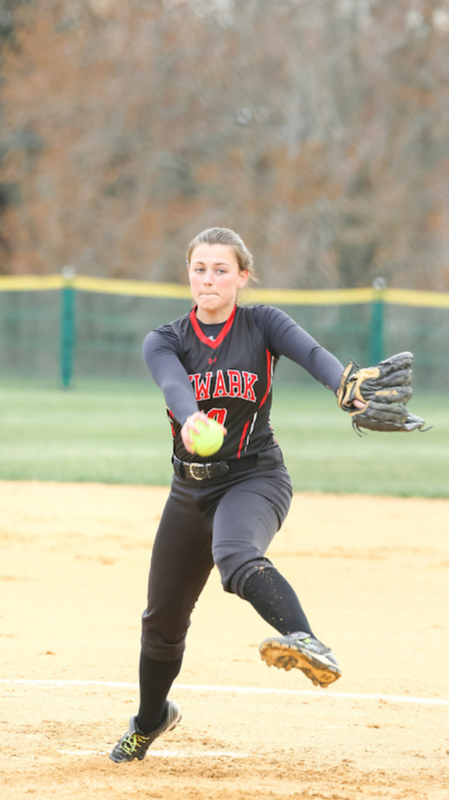 Speaking of Bloomfield, the Bengals lost two quality pitchers to graduation last spring, but freshman Lexi Corio has done a good job so far this season for the Bengals, who will take a 6-4 record into a big game against Caldwell on April 21. 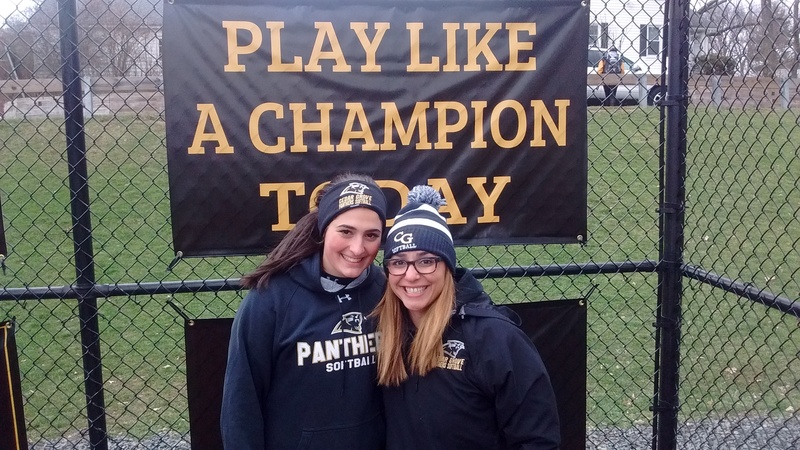 One of the really nice softball events in North Jersey will be renewed on April 23, with the annual Black and Gold Tournament, which takes place at Panther Park and on the adjacent softball field, L.R. Schools Field. There will be a tremendous lineup of teams, including Immaculate Heart Academy, DePaul, Livingston, Bloomfield, Lenape Valley, Kittatinny, Pope John, and, of course, the home team. Games start at 9 a.m. and will be ongoing throughout the day. Here’s the latest FMTC, Top 10, in Essex County. West Essex and Cedar Grove had gone 8 1/2 scoreless innings on a windy and cold afternoon at West Essex, so when the Knights got a rally going in the bottom of the ninth, thanks to a leadoff walk by Julia Vardiman and an infield single from Alexa Vardiman, the anticipation level was amped up. The Vardiman sisters proceeded to steal a base, putting runners on second and third, with no outs. And as Bridget Betley stepped into the box, Alexa could be seen at second, jumping up and down. Betley was struck out, but the catcher couldn’t handle the ball and the senior second baseman alertly ran to first, and was safe, loading the bases. Madison Gemma followed with a sacrifice fly to center, scoring Julia Vardiman, and West Essex came away with a hard-fought, 1-0, win. West Essex improved to 10-2 with the win while Cedar Grove fell to 7-3, including heartbreaking losses to Mount St. Dominic and now, West Essex. 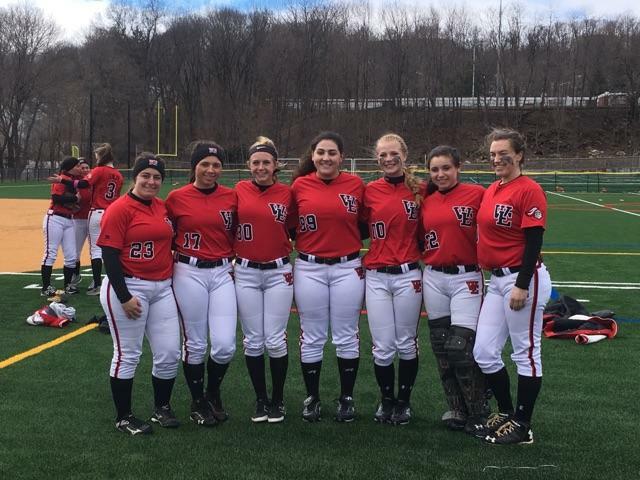 West Essex pitcher Sami Huetter and Faieta were both studs in the circle, as Canonero II and California Chrome matched goose eggs for eight full innings, before Huetter retired the Panthers in the top of the ninth. Huetter, a senior who will play at Stockton University this fall, struck out eight and walked just two while scattering four hits. Faieta, a sophomore who has become a strikeout phenom in Essex County, fanned 16 while walking a surprising 12, but she gave up just two hits, both infield singles. And Faieta, despite the walks, worked out of some big time jams, including a bases-loaded, no out situation in the fifth inning and a first and second, no outs predicament in the seventh. Fiaeta also struck out the side in the second and sixth innings and had at least one strikeout in every frame. 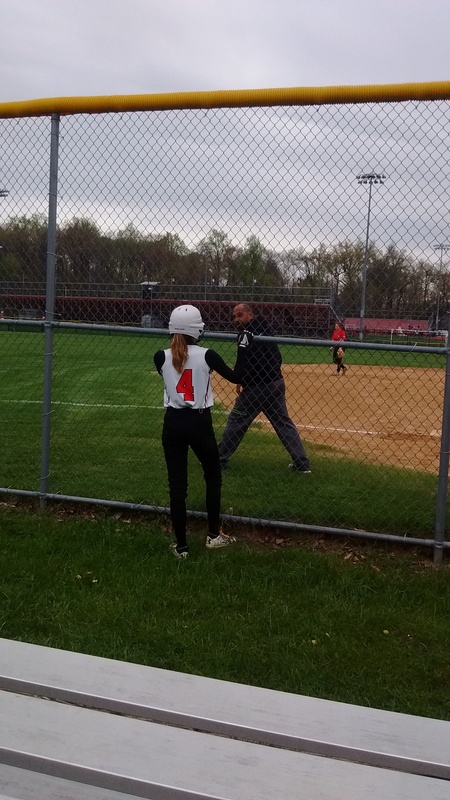 In addition to scoring the winning run, Julia Vardiman reached base four times, all by walk, while Alexa Vardiman also reached four times, three by walks and the single in the ninth. Huetter had the other hit, a bunt single in the fourth inning. Alexa Vardiman, aka Funny Cide, also praised Velardi. The classy Vardiman summed up well a tremendous Super Essex Conference American Division battle, where, other than the score, there were no losers. 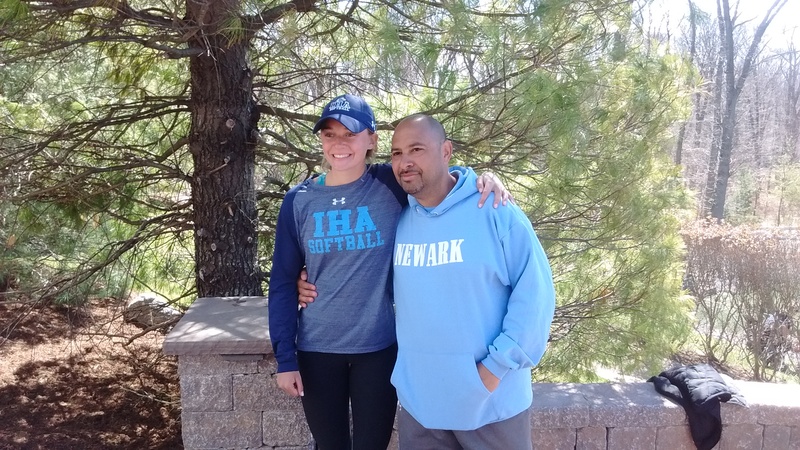 Newark Academy softball coach Sergio Rodriguez had just coached his team to a hard-fought, 5-3 win over Bloomfield High on April 17. And while Rodriguez was happy with the victory, he was just as interested in honoring the man who coached the team his Minutemen had just defeated. Bloomfield coach Bob Mayer will be inducted into his alma mater’s Hall of Fame on April 22. And while there’s a lot of well-timed fun among the coaches in Essex County softball, there’s also a level of reverence which goes to a certain coach, and Mayer is one of them. A few years back, Rodriguez’s daughter, Damariz Mercado, played her high school softball at Bloomfield. Now a standout at Rowan University, Mercado’s skills got a boost from Mayer’s tutelage, according to Rodriguez. As far as the kind of man Mayer is, that was easy for Rodriguez. Mayer has always been a Bloomfield Bengal. He graduated BHS, went to college, then returned to be an educator in the town some 42 years ago. Mayer’s accomplishments on the softball diamond speaks volumes. 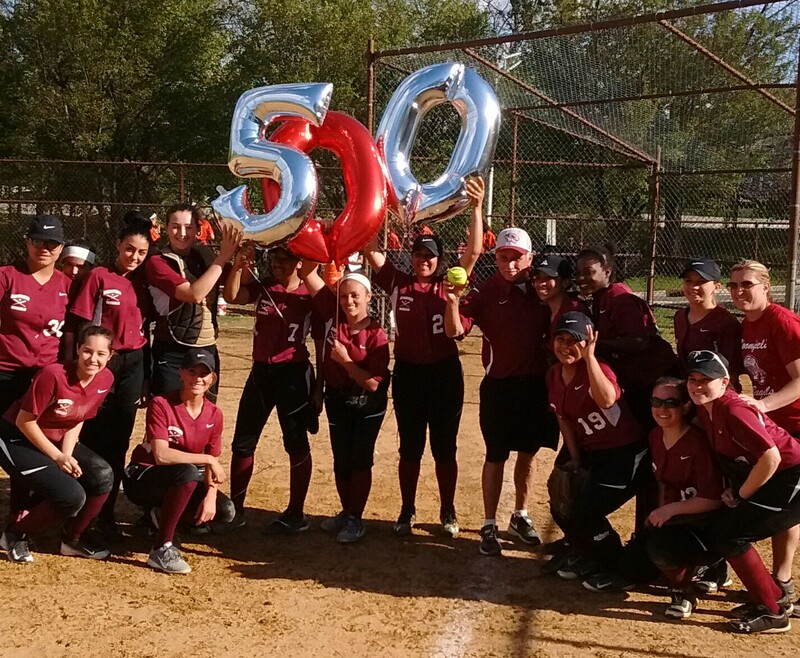 Last year, he became the third coach in Essex County high school softball history to win 500 games. 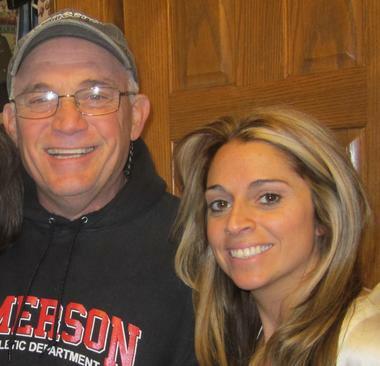 In 2015, he was inducted into the New Jersey Scholastic Coaches Association Hall of Fame. He’s guided Bloomfield to multiple Essex County Tournament championships, as well as conference crowns and state sectional titles. When he was named to the state’s Hall of Fame two years ago, one of the legendary coaches in New Jersey provided the following comment. Those words came from the late Anthony LaRezza. 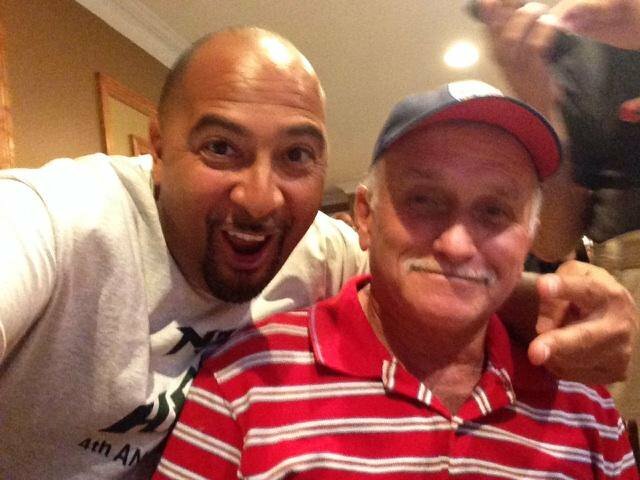 The winningest coach in Essex County softball history is Caldwell’s Mike Teshkoyan, who has well over 600 wins. Teshkoyan’s Chiefs and Mayer’s Bengals have clashed many times over the past 28 years. This year, Caldwell and Bloomfield will be among the teams competing for a Super Essex Conference championship in the Liberty Division. Another long-time rival for Mayer has been Livingston’s coach, Jason Daily, He, too, couldn’t have been happier when learning of Mayer’s upcoming induction. Belleville coach Chris Cantarella also lauded Mayer. Belleville and Bloomfield have long shared an intense rivalry, dating back to the early 1980’s. The ‘Mr. Mayer’ analogy doesn’t come from just Cantarella. Earlier I had written that Mayer became the third coach in Essex County history to win 500 games. Well, the fourth to 500 came just a few days after Mayer did it last year. And it was accomplished my Mount St. Dominic’s Lorenzo Sozio. As a youngster growing up in Bloomfield in the early 1980’s, one of Sozio’s physical education teachers was Mayer. And to this day, Sozio famously refers to Bob as Mr. Mayer. Two years ago, Sozio had these comments on his friend being inducted into the NJSIAA Hall of Fame. Accolades galore, for a man who Cantarella accurately portrayed as a Hall of Famer long before an induction ceremony. IHA’s offense hasn’t found its usual stride, yet, but the Eagles pitching is so good and its defense just as solid. 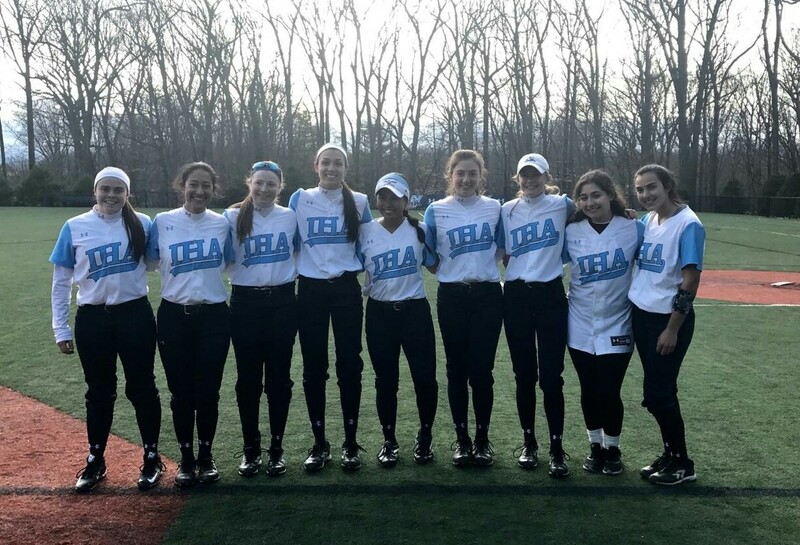 Nevertheless, IHA needed a big win in a close game against a solid team, and coach Diana Fasano’s team got it on April 13, as the Eagles defeated previously unbeaten DePaul, 2-1, in Washington Township as freshman Ryleigh White blasted a walk-off, solo homer in the bottom of the ninth inning. IHA (5-2) had lost a pair of 2-1 games last weekend at the Anthony LaRezza Invitational, and while the team isn’t used to losing many games, Fasano didn’t want her team pressing, either. White provided the break when she lined a long homer to break a 1-1 tie. In her previous at-bat, she drilled a ball into left center which DePaul’s tremendous outfielder, Amanda Ayala, (stud name, Whirlaway) hauled in. In the circle, senior lefty Olivia Sprofera was once again marvelous. Sprofera (stud name, Citation) pitched another complete game, striking out 16. She worked out of a few jams along the way, too. Olivia Sprofera (left) and Ryleigh White hope to be celebrating a lot of big wins in 2017. (Courtesy, Melissa White. Click on photo for larger image). DePaul (4-1), which dealt IHA its only loss in 2016, trailed 1-0 in the sixth when Ayala smacked a triple and later scored on a sacrifice fly. 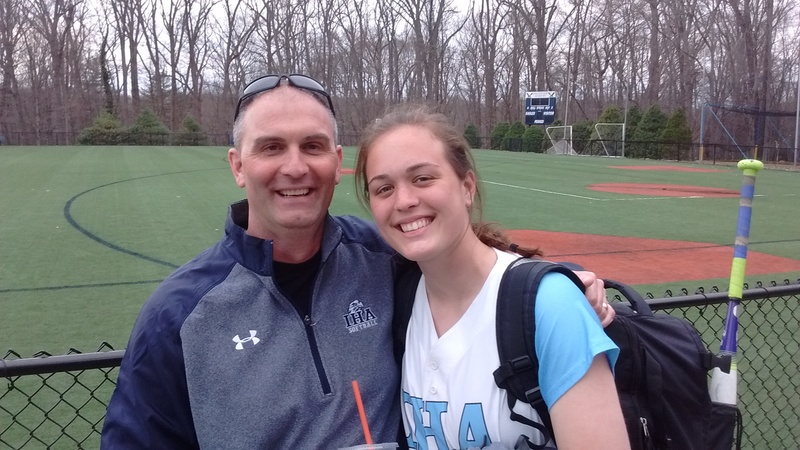 IHA scored the game’s first run when senior third baseman Reagan Jones singled and later scored on a passed ball. 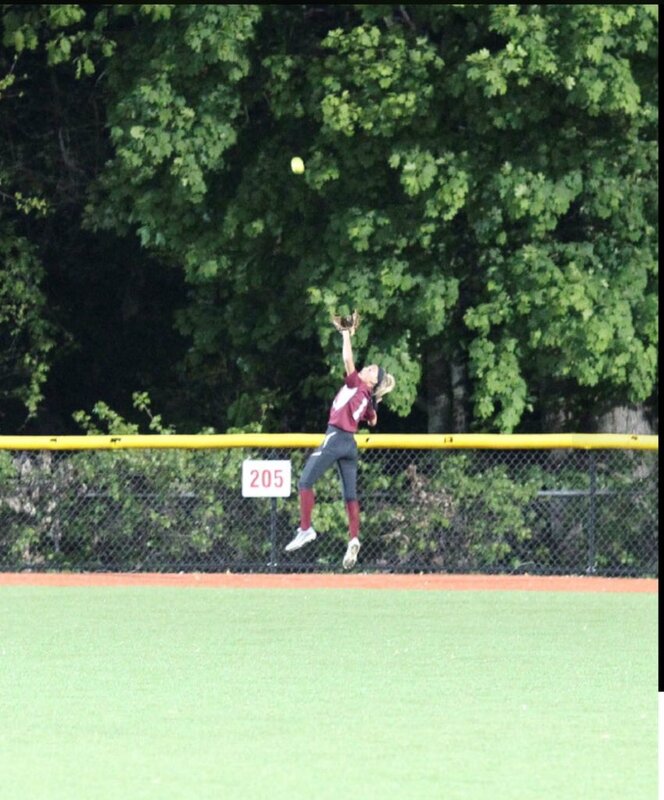 Left fielder Ally Dudek made a tremendous over-the-head catch of a line drive to halt a DePaul rally in extra innings. IHA also got a boost when Sonia Sharma, a senior second baseman, who missed the past four games with a thumb injury, was inserted as a pinch hitter late in the game and bunted for a single. DePaul coach Sue Parler was impressed with both teams. Ayala, a senior who will play at the University of Tennessee this fall, had suffered a bad leg injury which kept her out of the lineup for the entire 2016 season. Overall, it was a good game for the Eagles, which won its third straight and sent a determined Ed Bates home quite happy. “We need to win this game!” Bates implored throughout the contest. There were whispers that Nutley could be in for a rebuilding season in 2017, but the young Raiders don’t want to hear about that. Nutley defeated a big-time nemesis, Livingston, 2-1, in a well-played game at Nutley, on April 12. The Raiders improved to 3-2 on the season and won its fourth straight game against Livingston, dating back to 2015. Prior to last season, Livingston had dominated Nutley on the Raiders’ home field, winning six straight before Nutley won a 4-0 decision in 2016. Nutley was led by pitcher Courtney Wilde, who spun a complete game 5-hitter, striking out six and even more importantly, walking none. On offense, Melanie Conca, the ninth hitter in Nutley’s lineup, was 3-for-3, with a double, and scored both of her team’s runs, including the game-winner in the bottom of the seventh on a wild pitch. In her 19th season, Nutley head coach Luann Zullo knew this year’s team would be a work-in-progress, as a young team learns the intricacies of the varsity game. Livingston, which won a state championship in 2016, fell to 2-2 on the season, but head coach Jason Daily, like Zullo, has a young team which will get better as the season progresses. 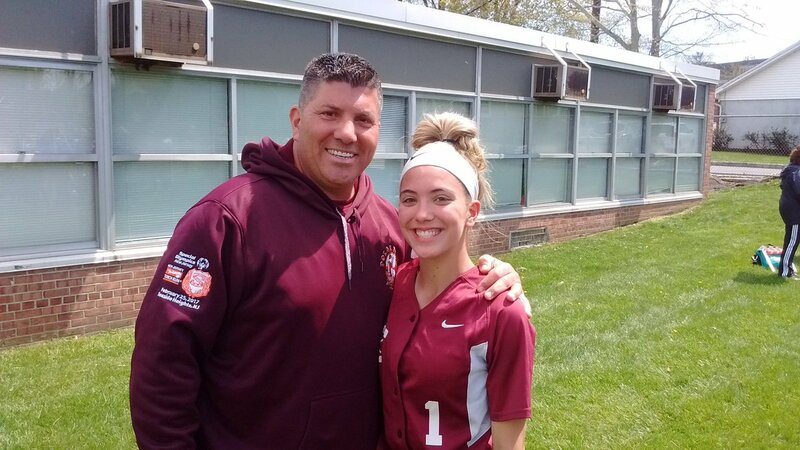 Nicolette Luzzi scored her team’s only run in the Nutley game, when she tripled and scored on a single by Ashley Reuter in the sixth inning. 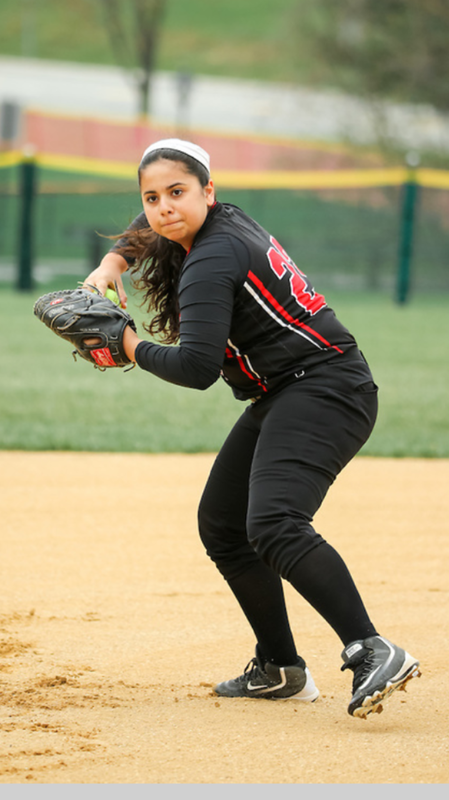 Cedar Grove sophomore right-hander Mia Faieta continues to excel. In back-to-back games last week against Mount St. Dominic and Montclair, Faieta struck out 33 batters. Cedar Grove is 4-2, and will visit Nutley on April 13. Mount St. Dominic and West Essex are the top two teams in the FMTC Top 10, after the Lions defeated the Knights, 12-9, earlier this week, at MSDA. The teams will meet again in a conference matchup later this season and will probably be the top seeds for the always exciting Essex County Tournament, next month. 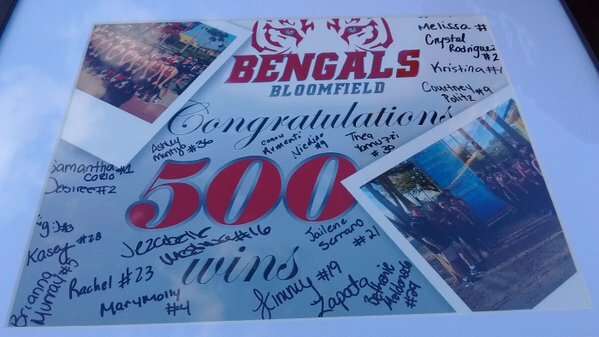 Bloomfield freshman pitcher Lexi Corio threw a complete game shutout for the Bengals, in a win over Montclair on April 11. Here is the first FMTC Top 10. 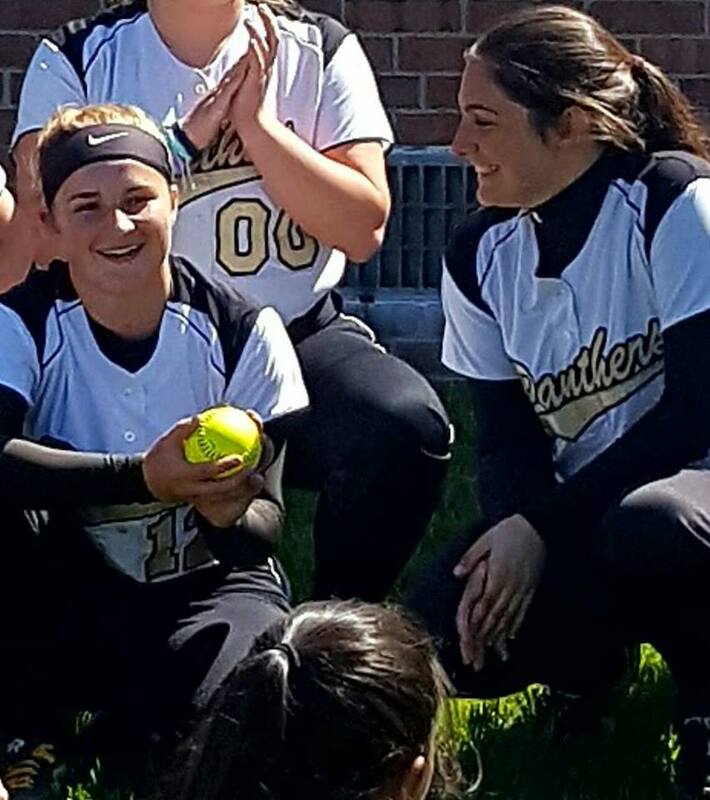 1-Mount St. Dominic (4-1): The Lions are loaded on offense, with Dani Dabroski and Julianna Kocenski among the top hitters, and a tremendous pitcher in senior Kelsey Oh. 2-West Essex (7-1): Perhaps the deepest lineup in the county, the Knights are a senior-oriented team, but two underclassmen, sophomore Julia Vardiman and junior Lily James, have also been big time contributors. 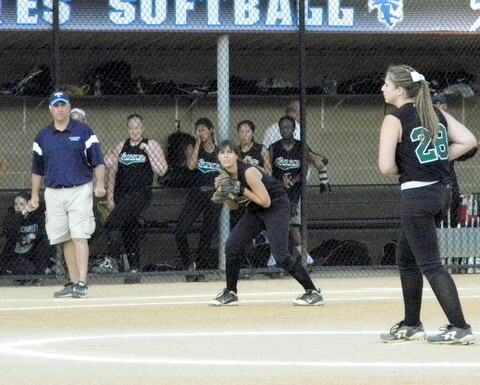 3-Cedar Grove (4-2): An above-average offense is paced by two solid pitchers in Mia Faieta and Kelly Toomey. 4-Nutley (3-2): The Raiders are off to a good start, with senior Sam Echevarria batting third and playing a solid second base. 5-Livingston (2-2): Never count out the Big Green Machine. 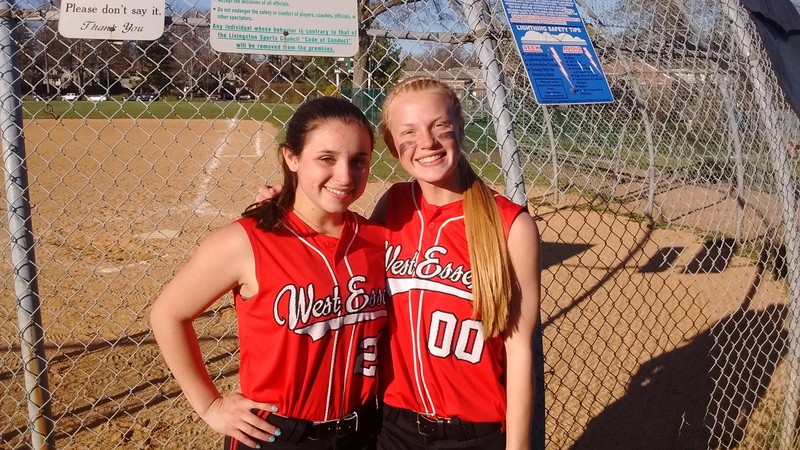 Freshman second baseman Nicolette Luzzi is playing well and catcher Emma Cooney is tremendous on defense. 6-Caldwell (3-0): The Chiefs will be among the favorites to win the SEC Liberty. 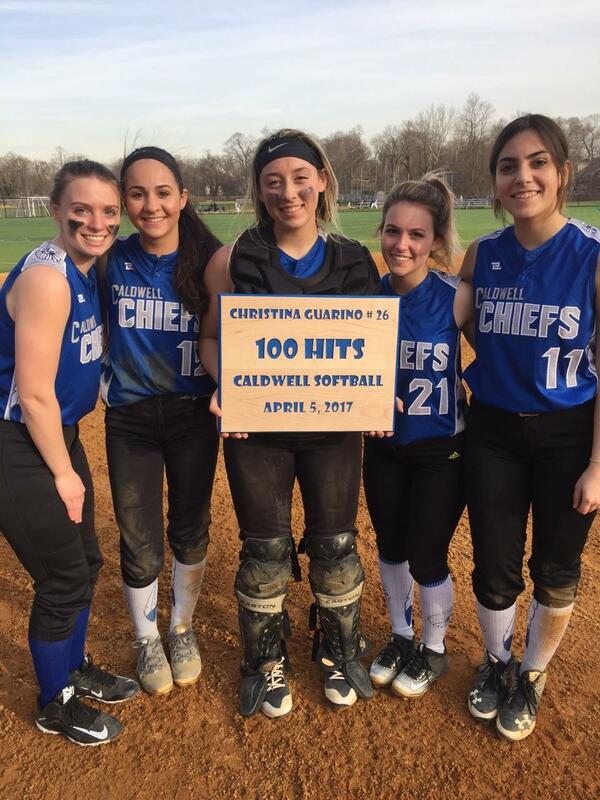 Senior catcher Christina Guarino picked up her 100th career hit last week. 7-Verona (5-0): There are high hopes for the Hillbillies, who have a new field to play on in 2017. 8-Bloomfield (3-3): Senior captains Jalia Santos and Kasey Coury will be key players for the Bengals, as they battle for a league title in the SEC Liberty. 9-Millburn (3-2): The Millers have moved up a level to the SEC Liberty, which should have a spirited race for the championship among three or four teams. 10-Montclair (1-3): After a slow start, the Mounties were a county finalist in 2016, so there’s no reason not to believe they will be a tough out this spring. Who will join Citation (Olivia Sprofera), Canonero II (Sami Huetter), Funny Cide (Alexa Vardiman), Nyquist (Jessie Masur), Sunday Silence (Reese Guevarra) and American Pharoah (Kelsey Oh) in the FMTC barn in 2017? Some great candidates will be joining soon. The second annual Anthony LaRezza Invitational Softball Tournament on the campus of Immaculate Heart Academy, in Washington Township, provided fans some exciting softball on April 8 and 9, as well as the chance to raise monies for cancer research, while remembering a beloved coach who left us way too soon. The games spoke for themselves, with most really close, including the first game on April 8, going into extra innings, as Montgomery ended IHA’s 32-game winning streak, dating back a year, with a 2-1 win, in 11 innings. Essex County teams competing at IHA included West Essex, which rallied from 4-0 down to defeat Robbinsville, on April 8, then won at the EDSAF tourney the next day; Cedar Grove, which played back-to-back games on April 9 at IHA, and split two, and Newark Academy, which battled back from a 4-1 deficit to take a 5-4 lead in the seventh inning, but Jefferson answered with a run and then prevailed, 6-5, in 8 innings, despite a tremendous performance by Newark Academy’s Sam Burggraf, in the final game of the tournament. Burggraf, a sophomore third baseman, hit a long homer for Newark Academy’s first run, then helped spur the seventh inning rally which gave the Minutemen the lead. As much as the games were compelling, the hard work by the IHA parents and the participation of the IHA players throughout the weekend, when the Eagles weren’t playing on the field, was impressive. The overall results were good, in raising some money, as far as the 50-50’s and the always popular snack stand, which was hopping for most of the weekend. While the teams compete hard on the field, there’s a camaraderie which goes with it, too. A lot of the girls play club summer ball together, so while they may be on opposite sides during a high school game, they’re friends and many of the parents enjoy the chance to catch up with old pals at the 2-day event. 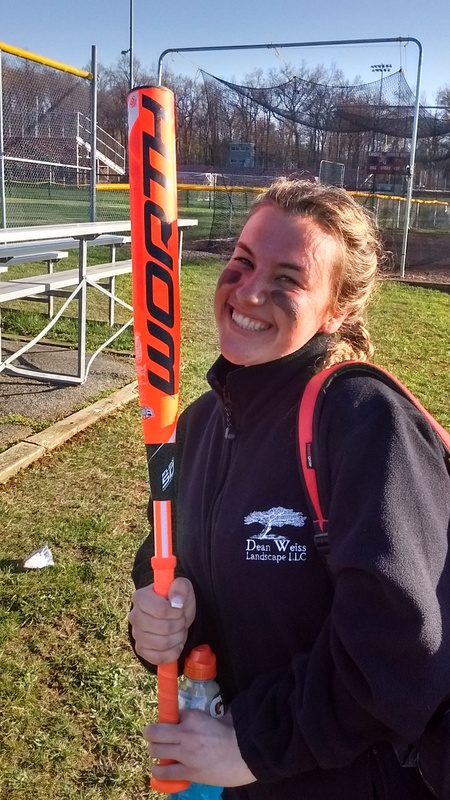 For example, when Burggraf was hitting well, a number of the IHA parents were cheering her on. And if you knew Anthony LaRezza, that’s exactly the way he always wanted the tournament to be played. One of Anthony’s closest friends, Newark Academy coach Sergio Rodriguez, had his team at the tournament wearing special jerseys, with the name LaRezza affixed on the back, as well as the player’s number. 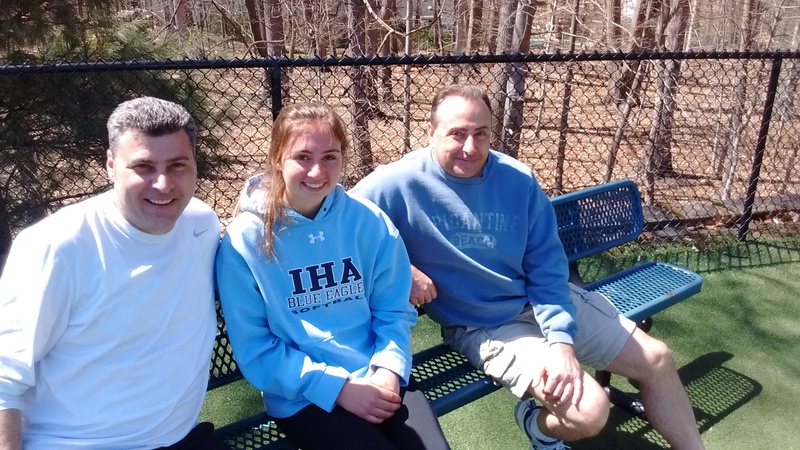 Sergio’s popular summer team, the Heist, has a number of players who were at the IHA tourney, so when he showed up on Sunday afternoon, it was time to catch up, as well, with good friends. Perhaps one of the nicest scenes was at what I like to call the Bob Jones Bench, located behind the right field fence, where Anthony LaRezza’s brothers, Allen and Joe, sat together and watched the games on April 9. And joining Allen and Joe for a while on Sunday was the Citation of pitchers, Olivia Sprofera, IHA’s left-handed stud, who shared some stories of her love of the Yankees and Red Sox, to the dismay (kidding) of Allen, but most of all, recalling some nice memories of the man whom the tourney is now memorialized. Congratulations to all who made it such a nice event.